CLICK HERE TO READ MY FULL REVIEW OF ‘THE FAMILY’!! What makes this movie work so well is it’s unrelenting violence and dark comedy. It mixes well together and garners as much laughs as it does cringes. Not too mention, if you’ve seen ‘Goodfellas‘ or HBO’s ‘The Soprano’s‘, you’ll see quite a few familiar faces popping up, in addition to one of the funniest movie cameos of all time. DeNiro is cozy again playing the former mafia boss with Pfeiffer having more of a meaty character to play around with. The kids are the most interesting here, as they go through French high-school with fists flying and blood gushing. 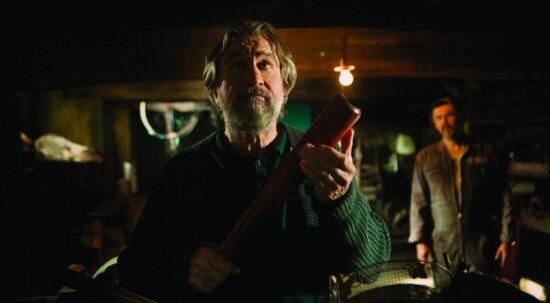 ‘The Family‘ is a fun and violent film for the whole family. This entry was posted on Friday, September 13th, 2013 at 10:59 am	and is filed under Film, News. You can follow any responses to this entry through the RSS 2.0 feed. You can skip to the end and leave a response. Pinging is currently not allowed. « Short Snap Film Review: ‘Insidious 2’! !